The users inbox experience will change. For about 40 (Thomlinson) to 46 (Morris /Van Vleck) years, email has been a rather static place to be. But the internet currently goes through some dramatic transformations – think of the cloud, legislation, social, mobile & apps. Email, the one most important internet-application, maybe follows this trend partly: About three years ago Google started Gmail Contextual Gadgets. Hotmail brought usActive Views with the Wave 4 relaunch. Yahoo offers Yahoo! Mail Applications. GroupVine extends email by survey-functionality. LiveIntent and MovableInk enhance it with dynamic images – picked in realtime when opening the email, and taking into account the subscriber’s local time and place for instance. But there is more to come. 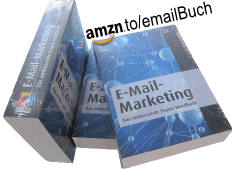 In Germany, United Internet Dialog/trustedDialog recently released MultiFunction!-Mail. (UID is a subsidiary of United Internet, which operates for example GMX, Web.de, 1&1 and mail.com and accounts for more than 50 % of the consumers primarily used inboxes in this country.) With MultiFunction!-Mail, senders can finally embed rich applications into their newsletters. For example Flash-Files. 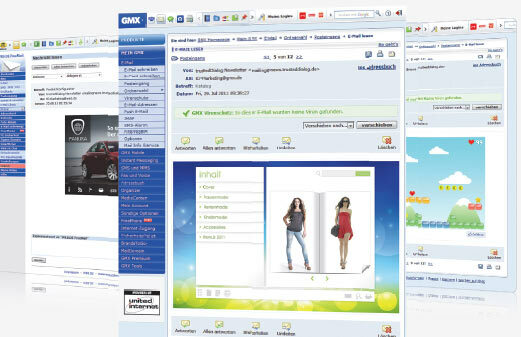 The technology is based on iFrames and works in the frontends of GMX, Web.de, T-Online and Freenet. All four accounting for a combined marketshare of around 75 %. The possibilities are limitless – subscribers gaming against each other within the latest newsletter-edition, buying without leaving the inbox, et cetera. Another interesting player is called PowerInbox. PowerInbox allows users to customize their mail user agents with apps. Similar to what we all are already doing with our smartphones or on facebook. The basis for this to work is a software add-on or a browser-extension that the user has to install first. It’s already avaiblable for Outlook 2003, 2007 und & (32-bit), Google Mail, Hotmail, and Yahoo. So, potentially a great reach with the top used clients on board! Next, the user has to install the senders specific app. E.g. NextWidgets developed an app that allows users to gain a full onlineshop experience for Kelly Wearstler newsletters in the inbox (see video below). Including the ability to zoom or fill the cart. A VSnap-app allows users to exchange real video-messages. And more. Yesterday, PowerInbox presented their API. This means every sender can now begin to develop his own app. And it’s not even difficult. PowerApp also released a PowerApp Toolkit for chrome (beta) for that purpose.